It seems like it's been forever since Bruno Mars dropped a new single, but the wait is over. His new track "24K Magic" is just as catchy as his past songs and it's already stuck in my head, if not yours, too. To further the single's takeover, Bruno Mars performed "24K Magic" on Saturday Night Live on Oct. 15 and it was an electrifying comeback for the pop singer who is also one of the most skilled and energetic performers around. Mars, wearing shorts, started "24K Magic" backstage with the Hooligans and led them through the halls of NBC's Studio 8H as they danced and Mars belted out the spirited song. It was impossible not to want to get up and dance along to Mars' latest funky song. After dancing around in the audience, Mars and the Hooligans made it up to the stage, where the large letters "XXLIV" loomed in the background, which also matched his hat. What does that mean, exactly? That's 24 in Roman numerals (get it?) and it's currently an important number for Mars. The song comes from Mars upcoming new album 24K Magic, which is set to be released next month on Nov. 18. It's the follow-up to his smash hit studio album Unorthodox Jukebox from 2012, so expectations are running high and Mars seems to be meeting them so far. And fans on Twitter loved the performance so much they were ready to bestow the crown of the King of Pop upon Mars. Mars also made an appearance in a fast food drive through sketch on SNL and later performed a brand new track — a slower funky ode to the "girl with the big ol' hoops." 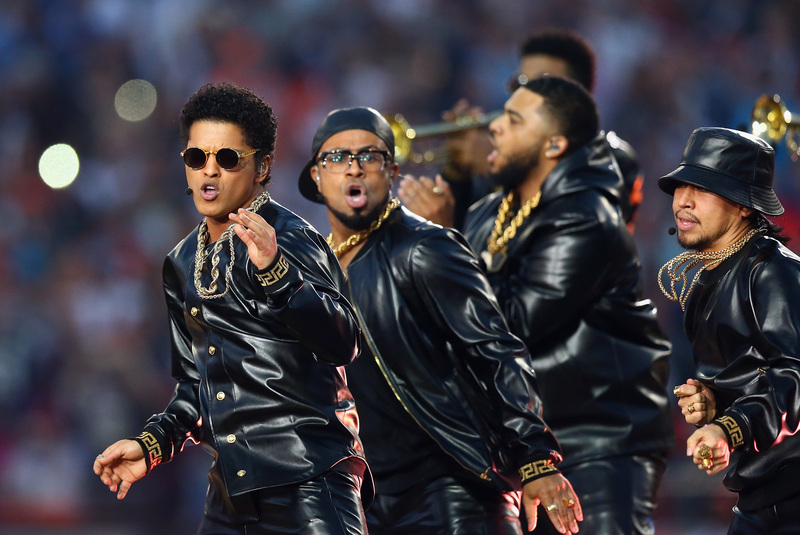 Watch the "24K Magic" performance below.